Schola Campesina aims at the de-concentration of knowledge in the field of agriculture and food in order to strengthen peasant movements at the global level and better achieve Food sovereignty for all. More specifically Schola Campesina seeks to share, valorise and develop knowledge on agroecology and global governance mechanism on food and agriculture for the benefit of peasants and agroecological actors all over the world. 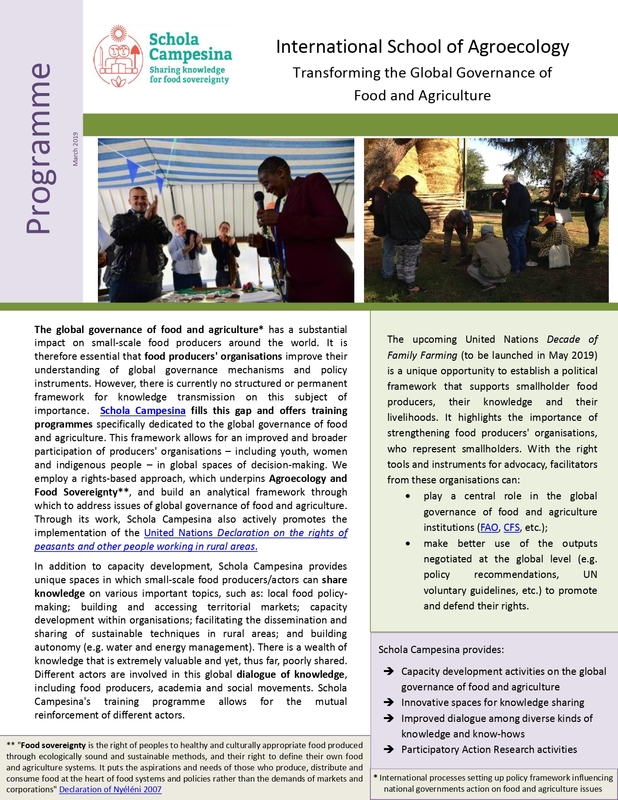 Schola Campesina is working in favor of a fair development of all territories and communities around the world, providing knowledge to food producers’ organizations and other allies on global governances processes to improve projects and policies at all level and better achieve food sovereignty. The 2015 Nyéléni International Forum for Agroecology and La Via Campesina’s schools of agroecology are at the base of Schola Campesina project. In that sense, the Schola wants to put into practice the principles and action plan of Nyéléni 2015. 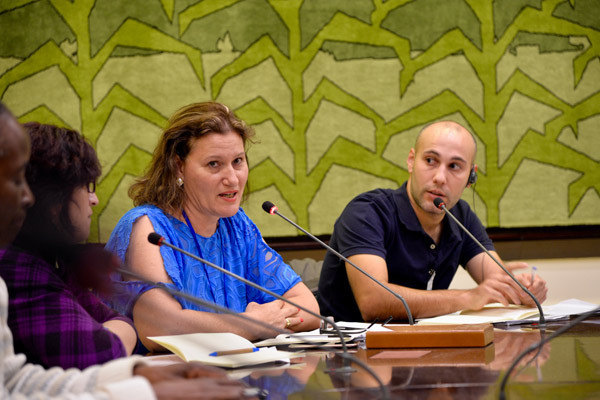 The Nyéléni Declaration principles represent our common starting point, on which we base our training and participatory action research activities. 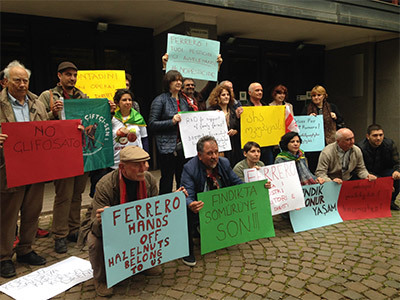 Schola Campesina APS is a legal association created in 2018 based in Gallese, in the Biodistrict della Via Amerina e delle Forre (Viterbo, Italy). The association includes a coordinator, facilitators and food producers; assuming a strong connection with its territory. 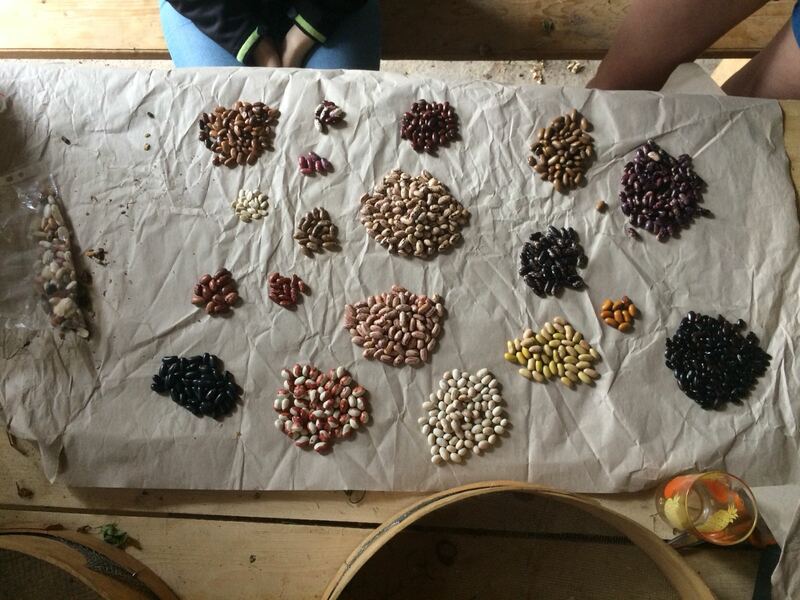 We established strong partnerships with a dozen of organizations working on Food sovereignty and Agroecology. Our activities are led by an international pedagogical committee where our partners are key. Translation of social change into norms that are accepted by all, or into policies based on our principles and, thereby, on food sovereignty. Agricultural and food policies should be based on the autonomy and rights of food producers1 and not on trade rules. The first training of Schola Campesina took place from Sept. 25 to Oct. 7 2017. It brought together 15 members of peasants’ organizations (LVC members) from around the world to share experiences and discuss issues related to, amongst others, the global governance of food and agriculture, peasants’ knowledge, peasants’ autonomy, agroecological practices, peasants’ global struggles, local and global food policies and women’s empowerment. 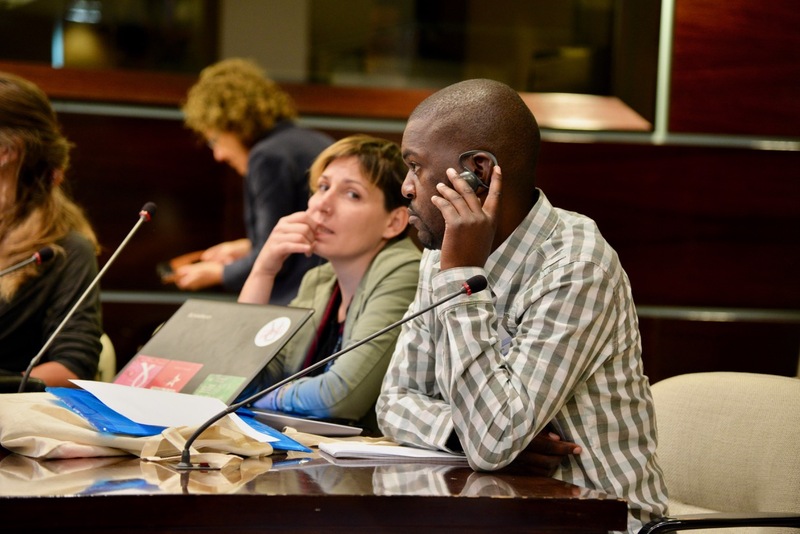 It took place in a partner farm in the Biodistrict of Viterbo Province and in Rome next to all UN bodies related to food and agriculture which allowed the participants to benefit from peasant and activist knowledge from all around the world. 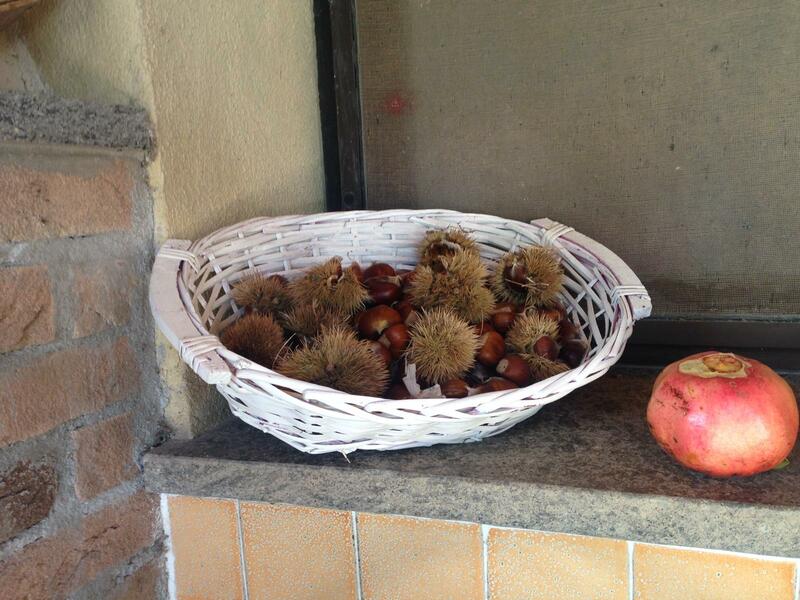 This first edition has been funded by FAO / OPCP and Associazione Tulipano Bianco/Confeuro.